Hello, my name is Rafaela. 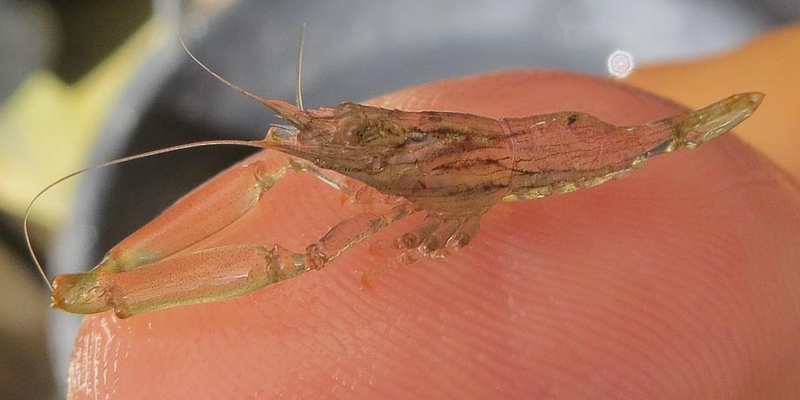 I’m 25 years old and I graduated from my Master’s degree in Marine Biology at the University of Algarve. I have been here for 5 weeks so far, and I’m really enjoying it and learning a lot. 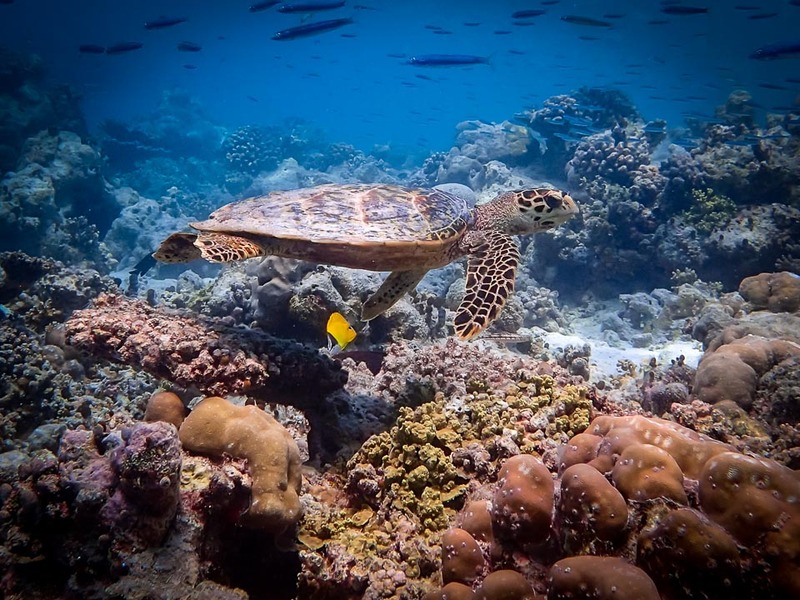 I have spent time treating the turtle patients, monitoring coral frames around the island, and taking guest snorkel safaris. 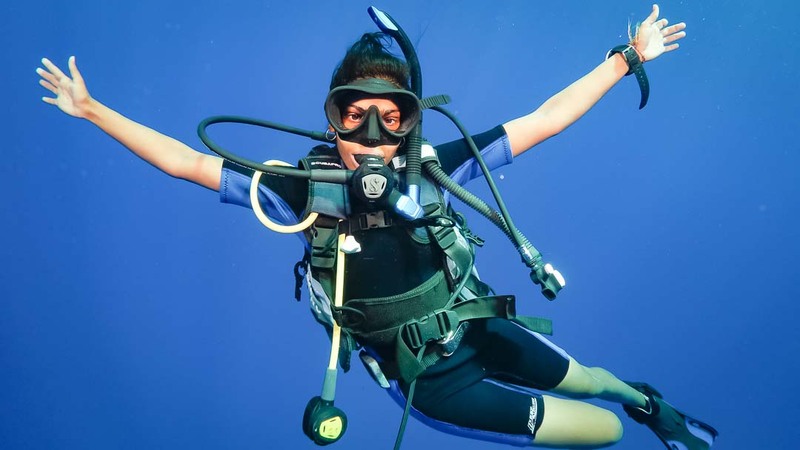 Meet Juliet, our latest marine biology intern joining us all the way from the U.S. of A. It’s been a busy first month on the job, with many interesting experiences along the way. 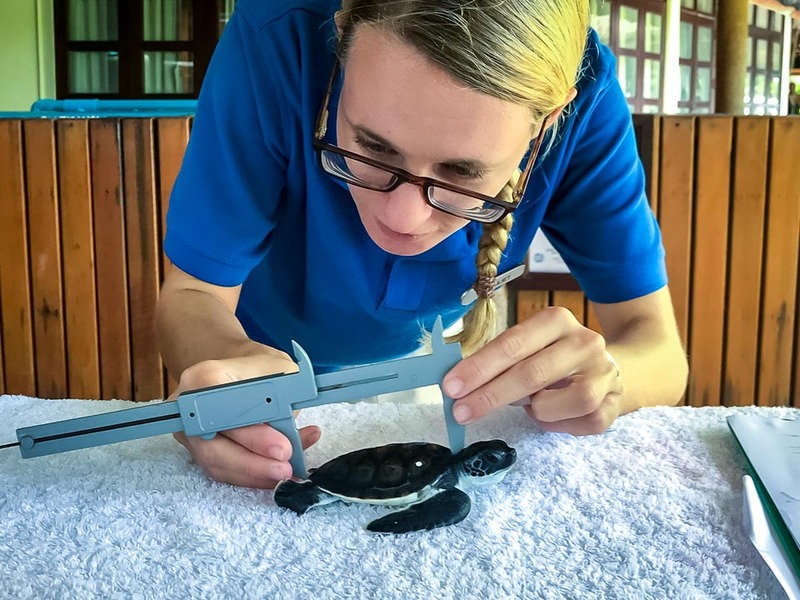 Juliet goes hands-on with our Green turtle hatchlings and injured Olive Ridley patients, and is soon helping with our marine presentations and guest safaris … both above and below the waves. 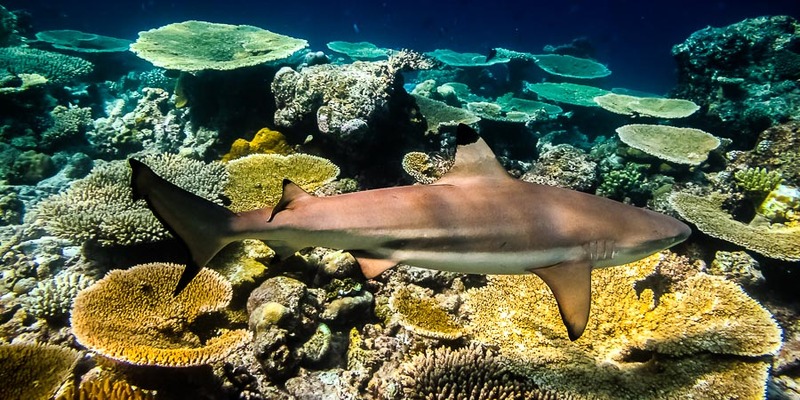 Thije is back with more great photos and stories from his busy life as a marine biology intern. 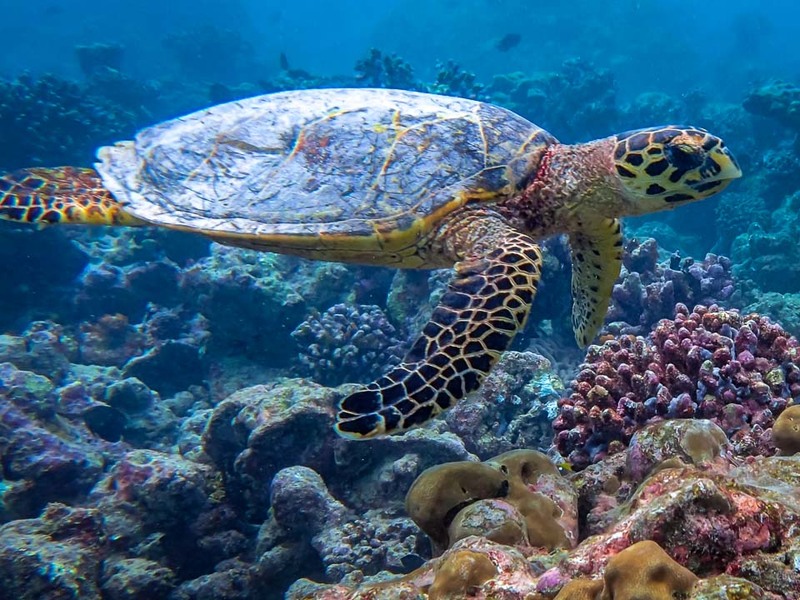 This month, he gets to understand the real personalities of our rescue turtles, and then there’s a first look at his Reefscapers coral propagation project. 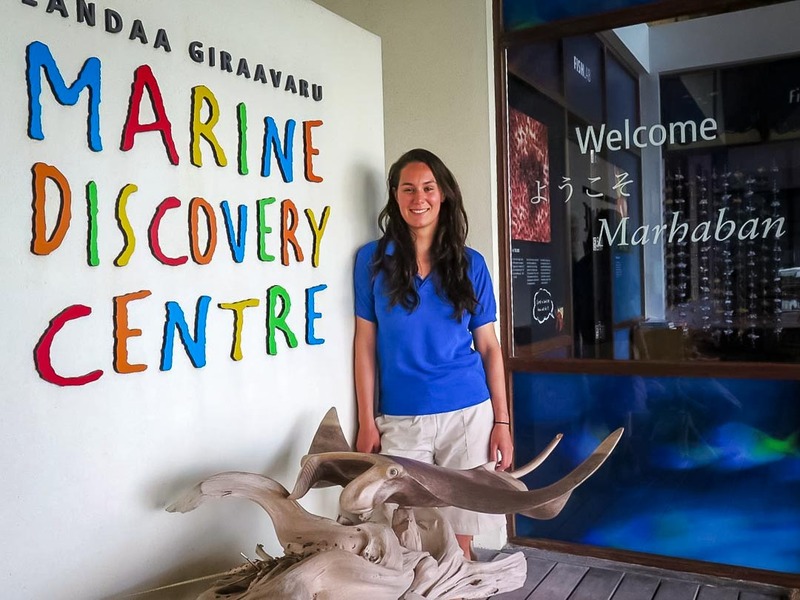 Thije joins us from The Netherlands as our latest intern here at the Marine Discovery Centre. 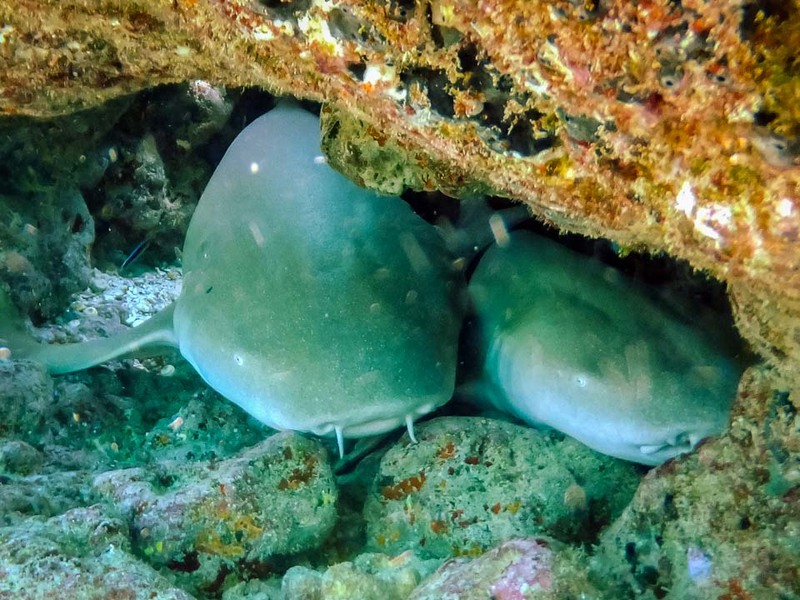 Read about his first few action-packed weeks at Landaa Giraavaru, and enjoy his excellent photo album of marine life viewed from both above and below the waves. 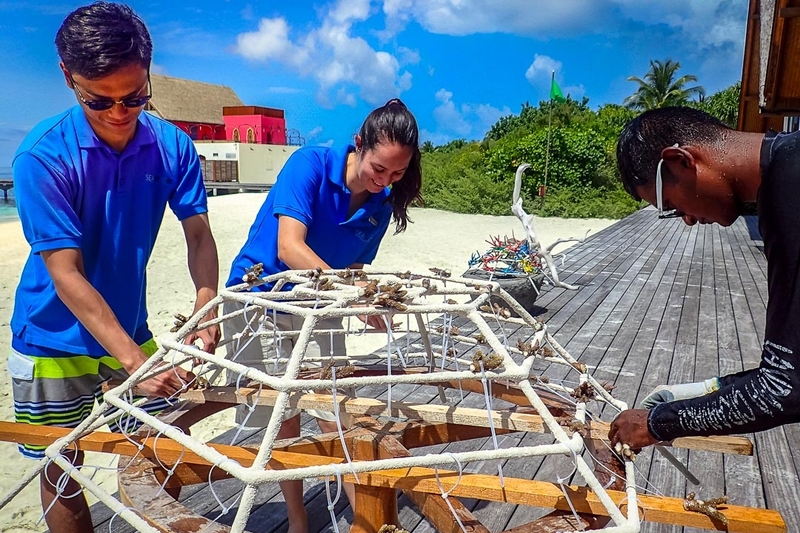 Catch up with Greg’s second month with us here at Landaa Giraavaru, as he completes his important work on Maldivian coral DNA. 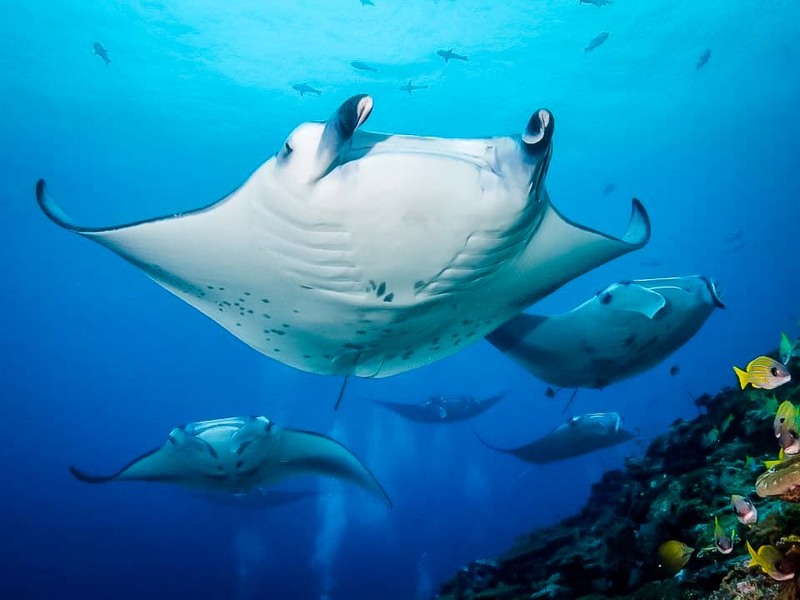 He waves goodbye to three of our rescue turtle patients, and still find time to swim with mantas at the world famous Hanifaru Bay! Meet Greg, our latest intern who joins us from the Université Libre de Bruxelles in Belgium. 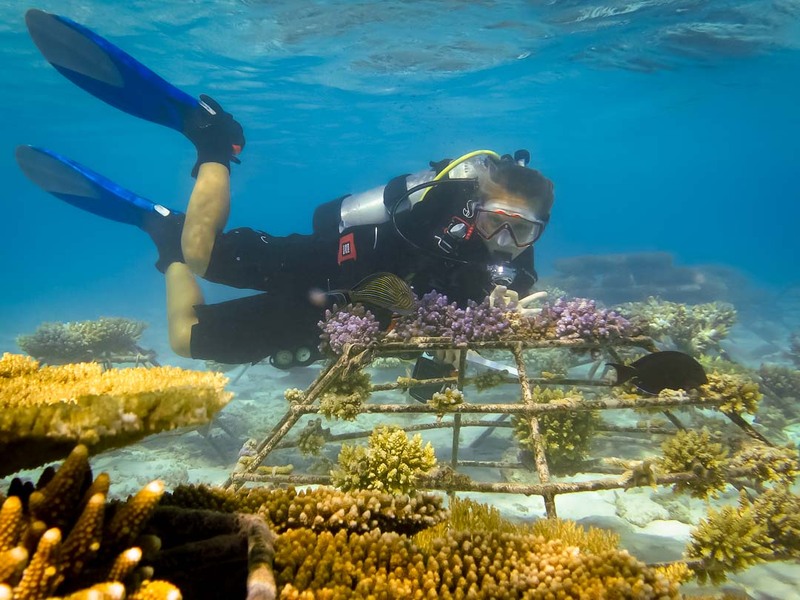 Greg’s speciality is corals, and he’s keen to start researching the corals in our lagoon to understand resilience to bleaching. 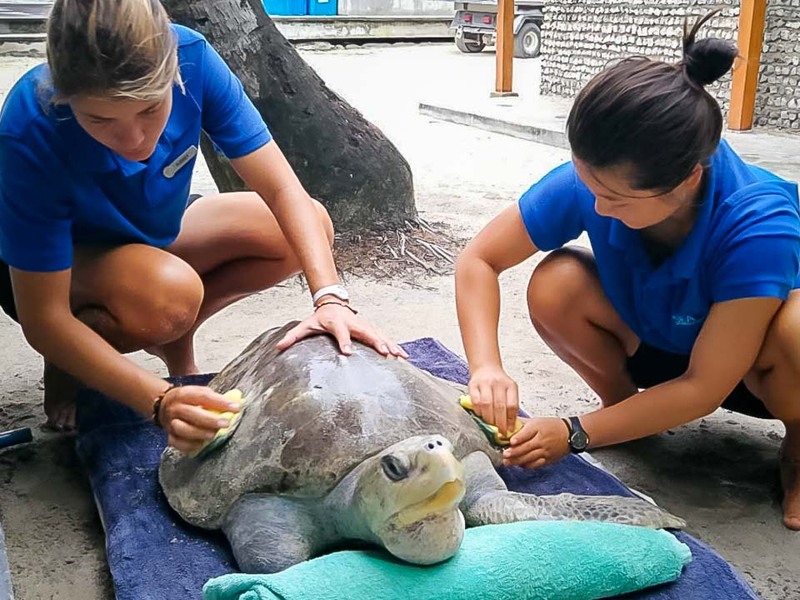 There is also time to get to know our resident rescue turtles, with an emotional ‘bon voyage’ to Ossy. After spending several months with the Marine Savers team, I can say for sure it was one of the best experiences of my life! 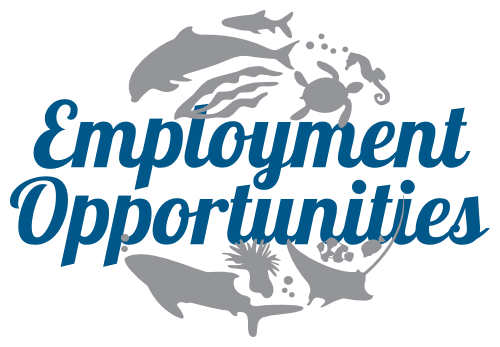 I was able to help with the variety of different projects at the Marine Discovery Centre, and had the pleasure of working with an amazing team of dedicated biologists. Irene helps with our turtle care & rehab programme, and releases some hatchlings into the ocean during a memorable dawn trip on the ‘whaler’. 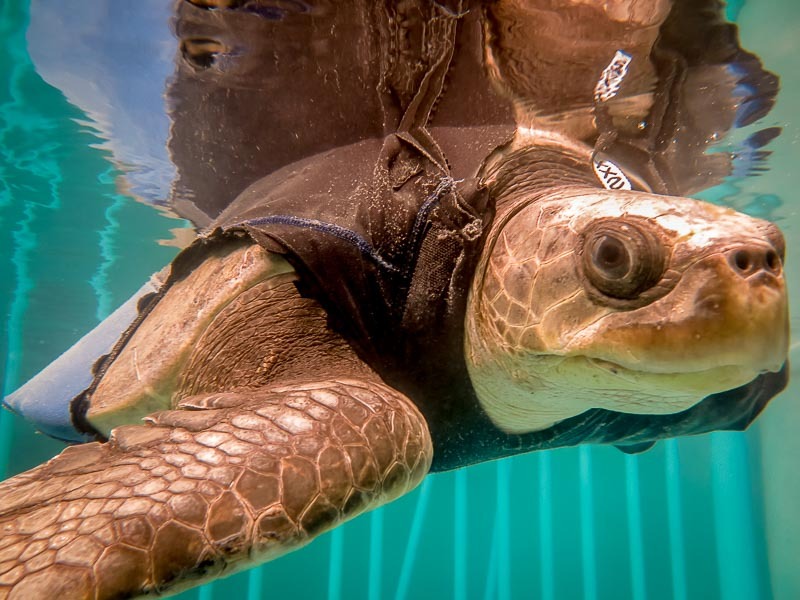 She also finds time to research the devastating effects of ‘ghost nets’ on Olive Ridley sea turtles, before departing with newly found study plans and a thirst for further travel adventures. 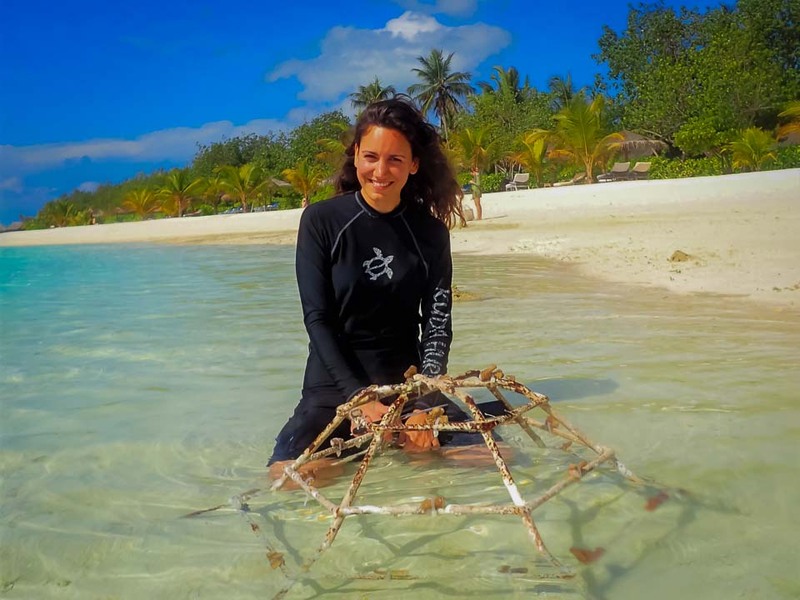 We welcome Irene from Spain, who joins the Marine Savers team as our latest intern at Kuda Huraa. 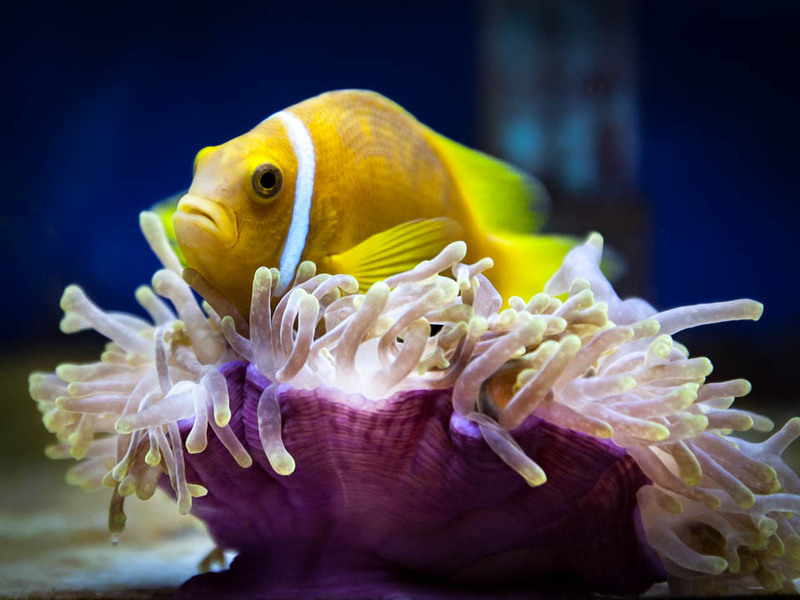 Within just a few days, she is helping with our Reefscapers coral frames and giving awareness presentations to our resort guests. 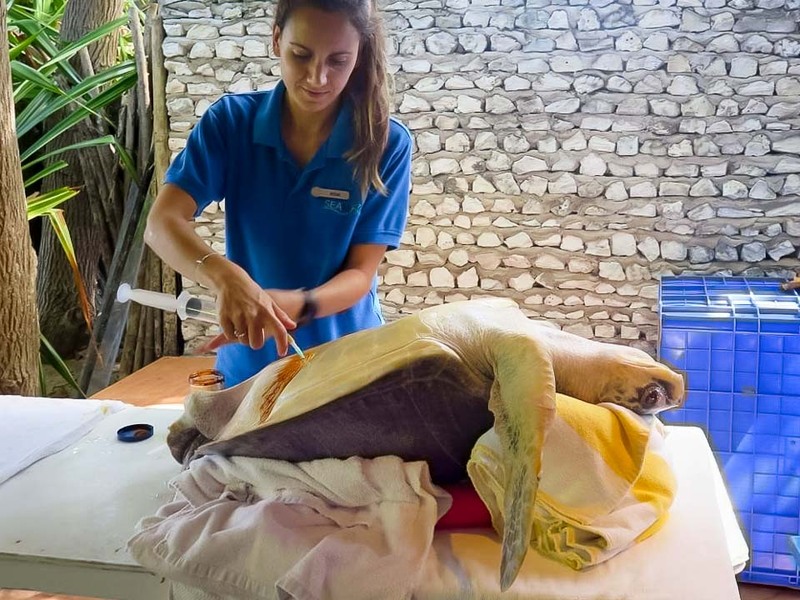 Irene uses her veterinarial skills to treat our rescue turtle patients, and says a happy adiós to ‘Dash’ on release day. Say ‘hello’ to Janice who is interning with us from Singapore. 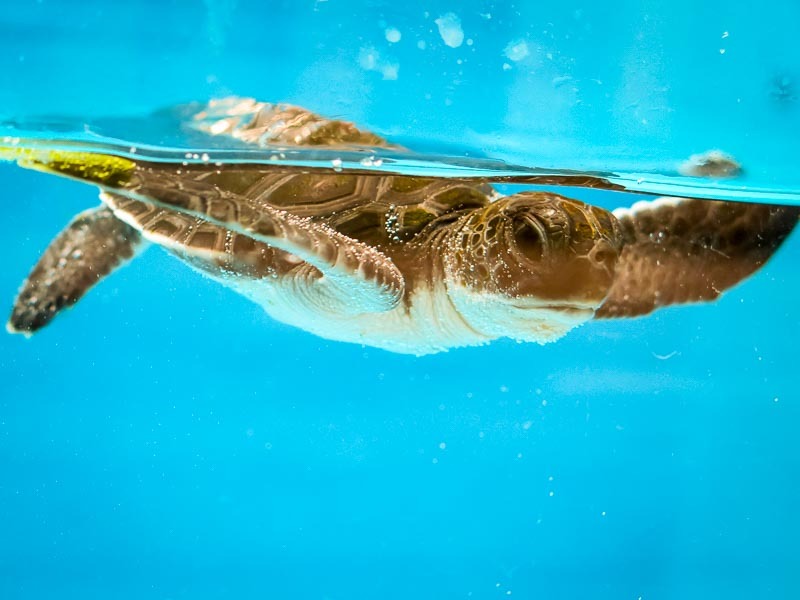 She helps out with our guest marine biology presentations, before some hands on experience with our injured sea turtle patients suffering from ‘buoyancy syndrome’. 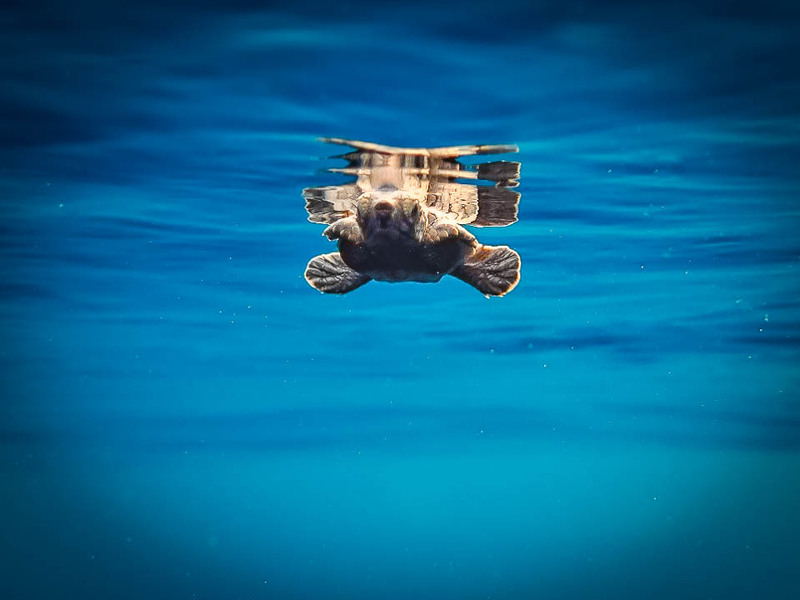 And Janice is literally ‘jumping for joy’ before departure, as our very own turtle nest starts to hatch … ! 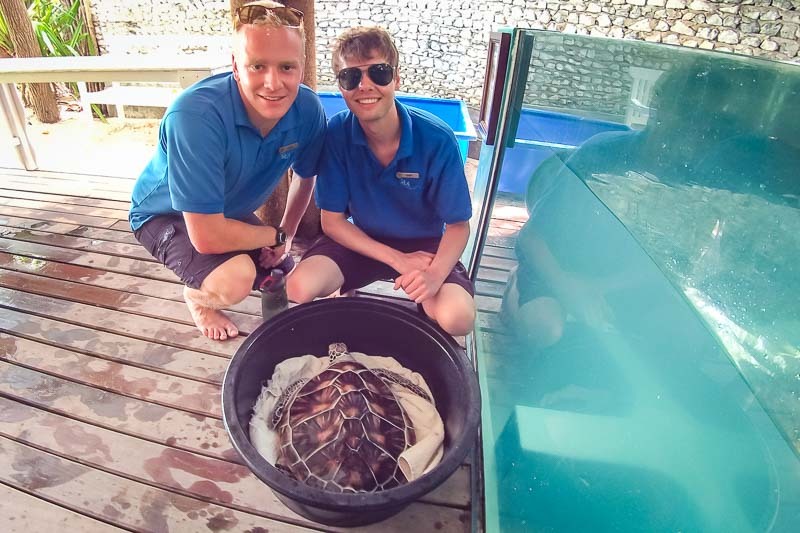 Meet Mark, our latest Eco-Volunteer to help with our marine conservation projects here in the Maldives. By the second day, Mark is getting to know our rescue turtle patients and assisting with feeding times. 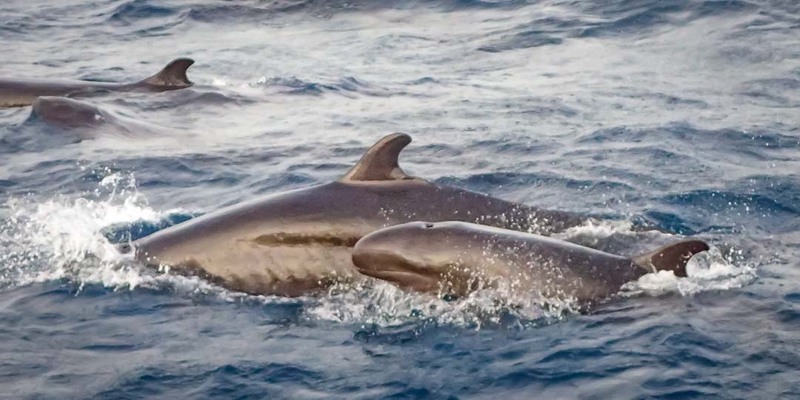 There is also time for a boat trip, where he has an unforgettable encounter with a pod of false killer whales. Adam is our new intern at Kuda Huraa, and he joins us fresh from university and full of enthusiasm! Meet Nicole, who travelled from Germany to join us for 6 weeks as a marine biology volunteer at our Discovery Centre. 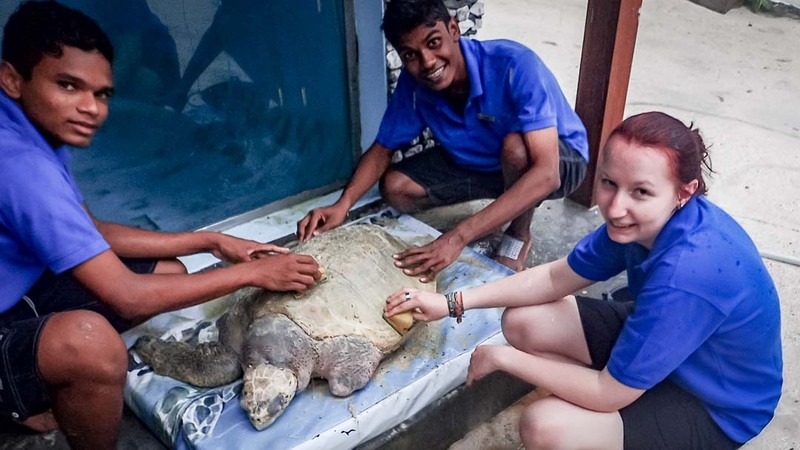 She helps with caring for our Olive Ridley turtles, which have been rescued from entanglement in ghost fishing nets. 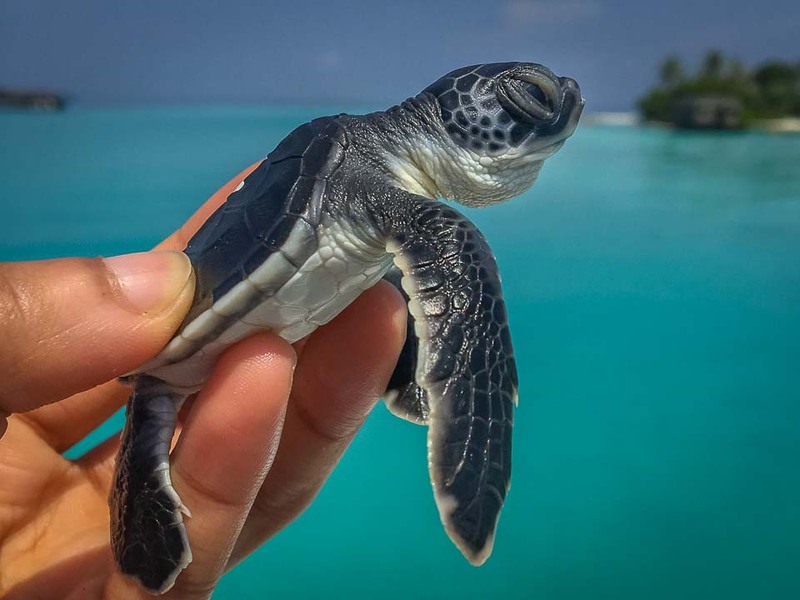 Nicole also visits an uninhabited Maldivian island to document wild turtle nests, and assists with a hatchling release. 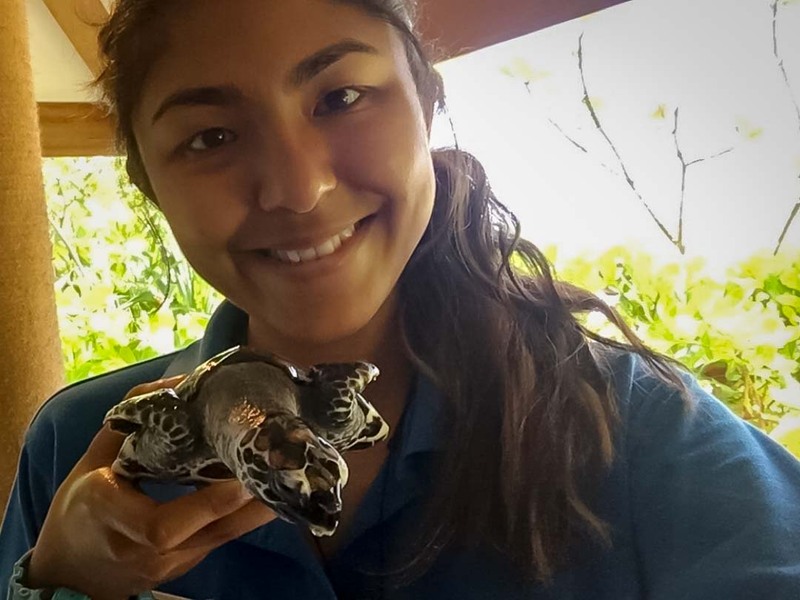 Say goodbye to Emily, as she finishes her marine biology internship with us. Before she left, Emily had time to finish her blog and take some more great photos ! There is lots of fun on land, as she helps our apprentices with a new coral frame and is interviewed for Japanese TV. 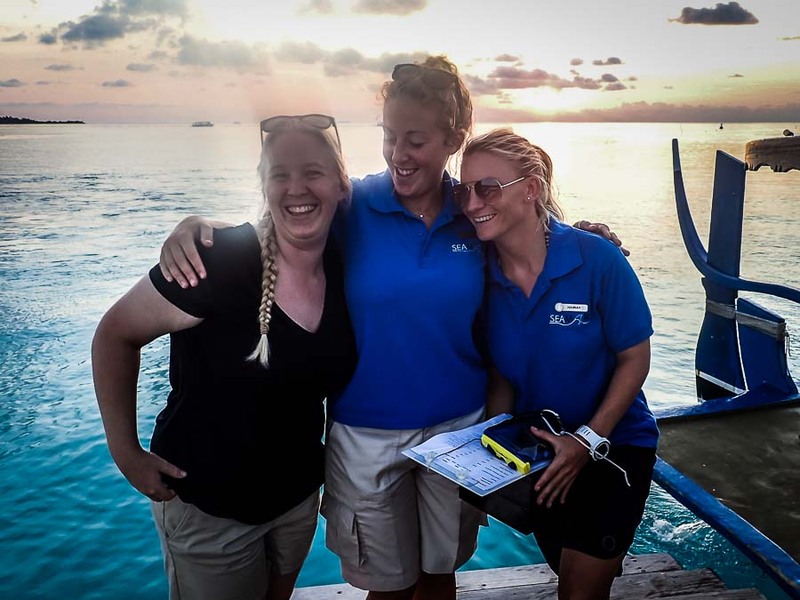 Whilst underwater, Emily helps with our Reefscapers programme and continues to be impressed with the fascinating Maldivian marine life. 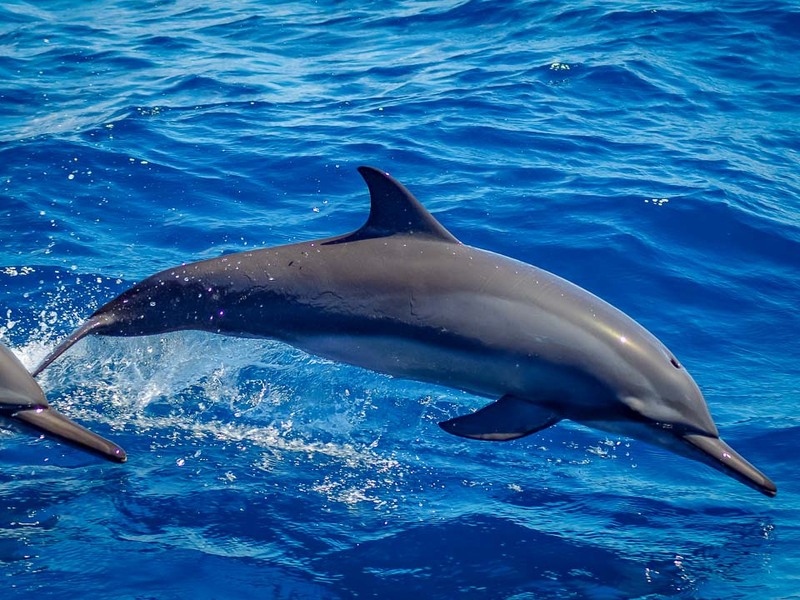 Emily has enjoyed her marine biology internship so much, that she’s returned for further adventures! 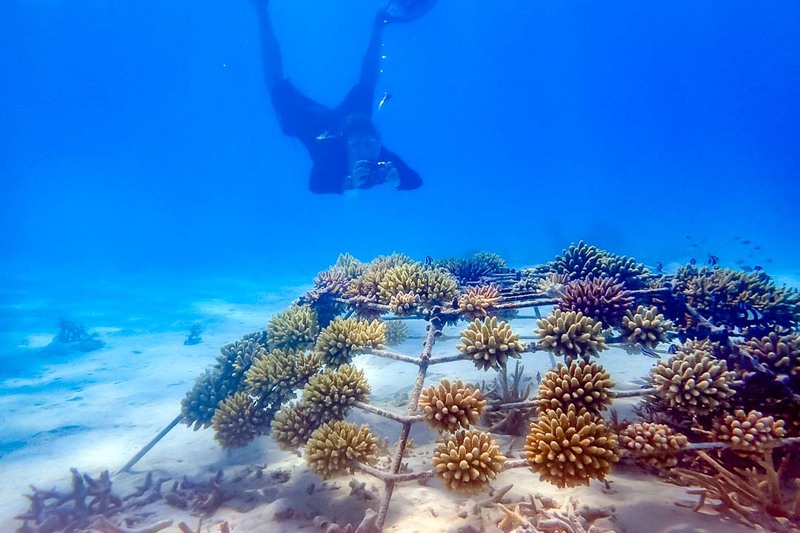 She continues with her coral experiments, and learns about the mass coral spawning event that occurs at this time of year. 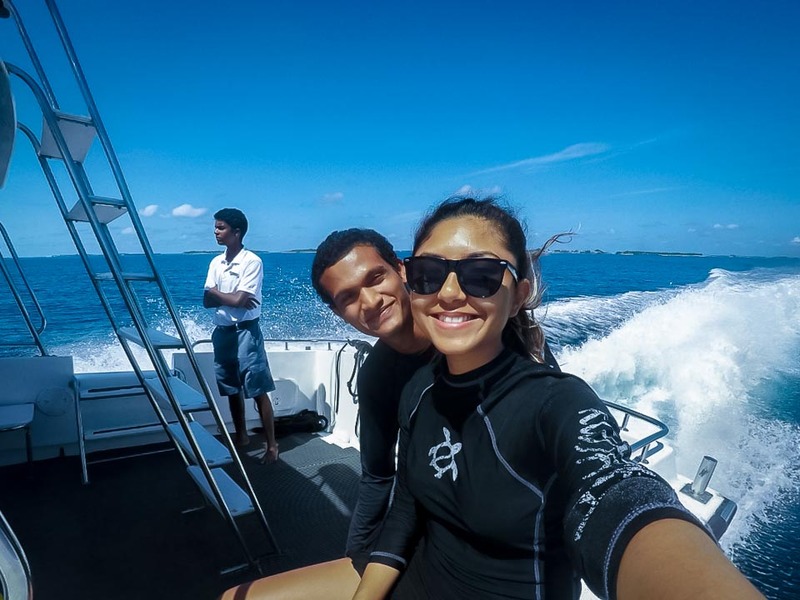 We bring you Dhiya’s delightful diary of her days with us, pursuing her passions as a marine biology intern. 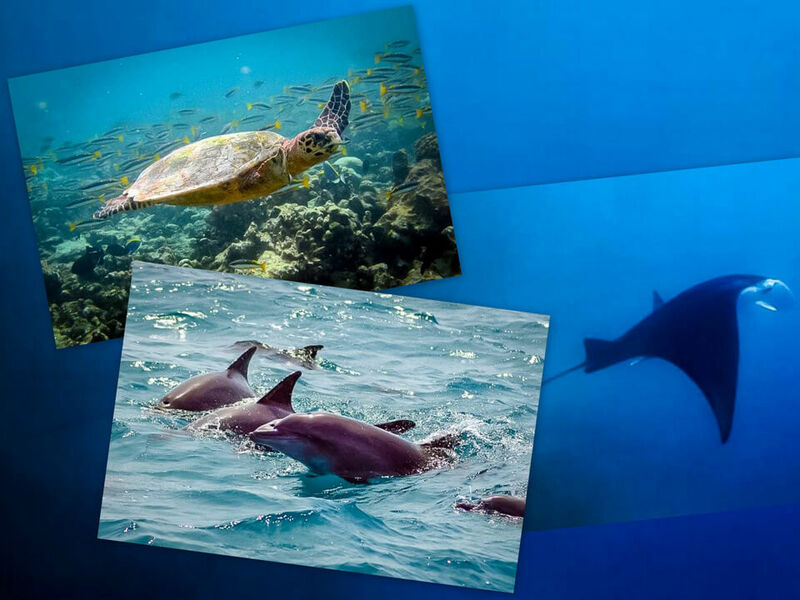 Enjoy stories and photographs of the countless creatures she encountered both above and below the waves, from crabs and turtles, to guitar sharks and ink-squirting sea hares ! 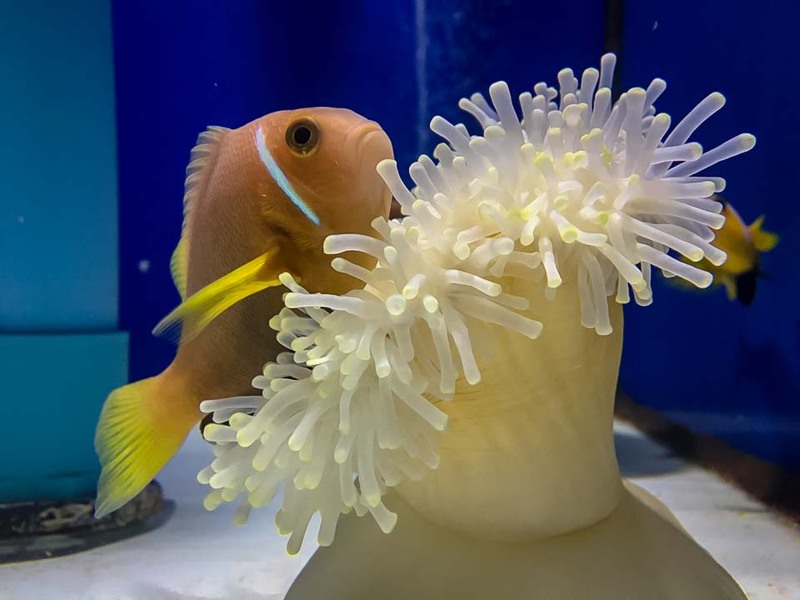 Dhiya also learns about our lab’s Clownfish breeding programme, and proves to be a big help assisting with our national Turtle ID project. 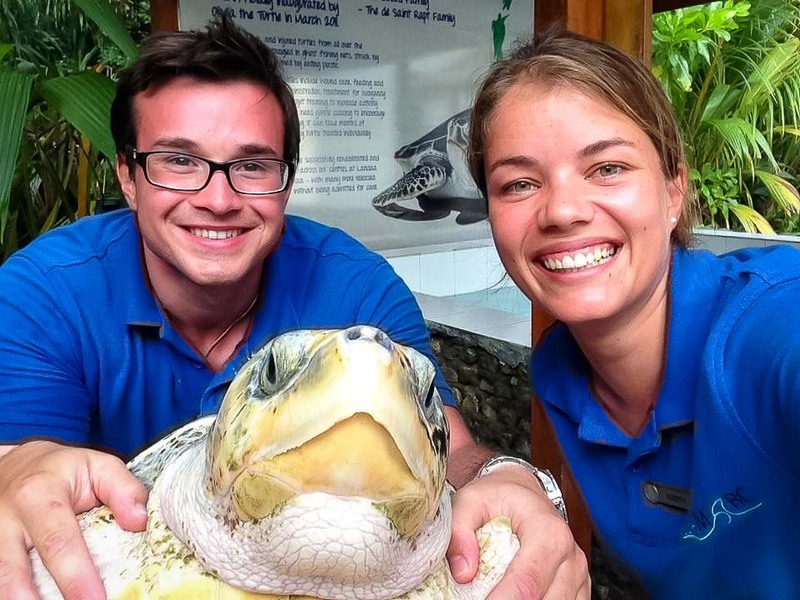 Catch up with Emily as she completes her third month with us here at Marine Savers. 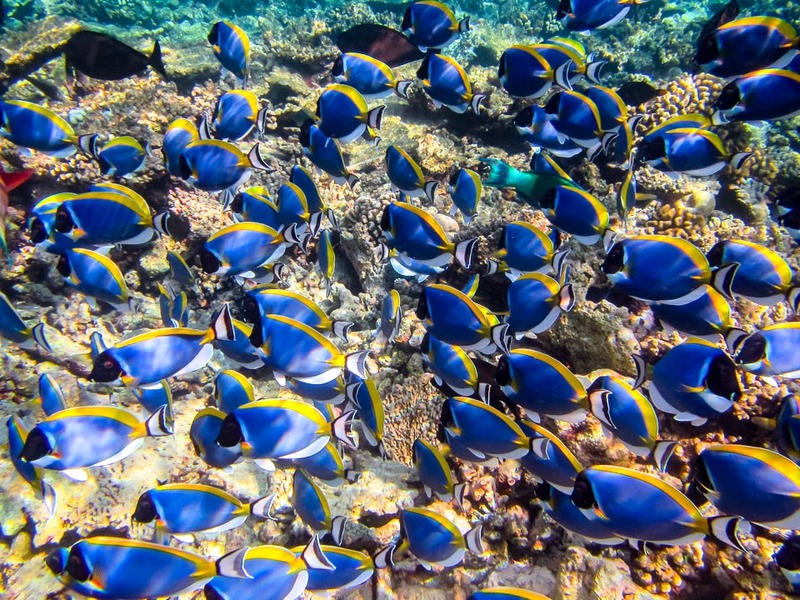 She’s been busy both above and below the waves, helping with the build-a-reef activities at the Kids’ Club and then monitoring at our new ‘Starfish’ site. 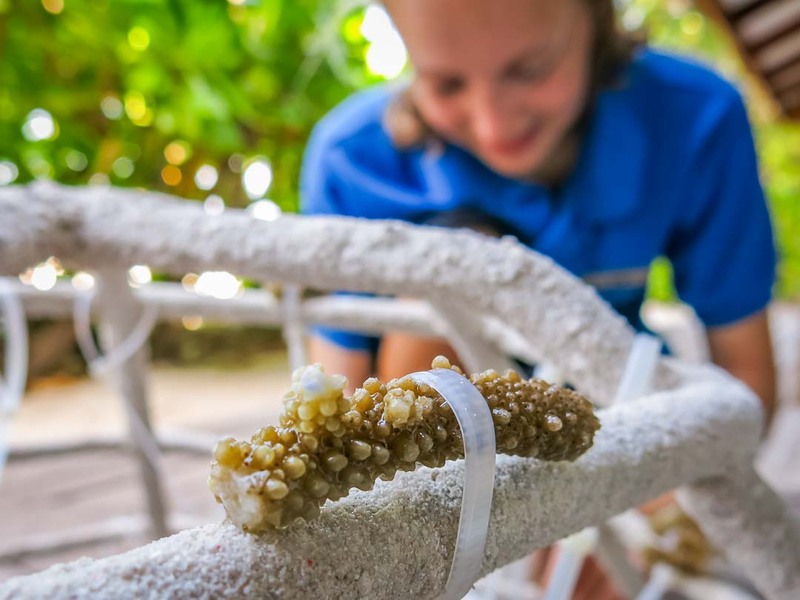 Catch up with Emily in her second blog instalment as a marine biology intern, and learn about her experiments with coral fragments. 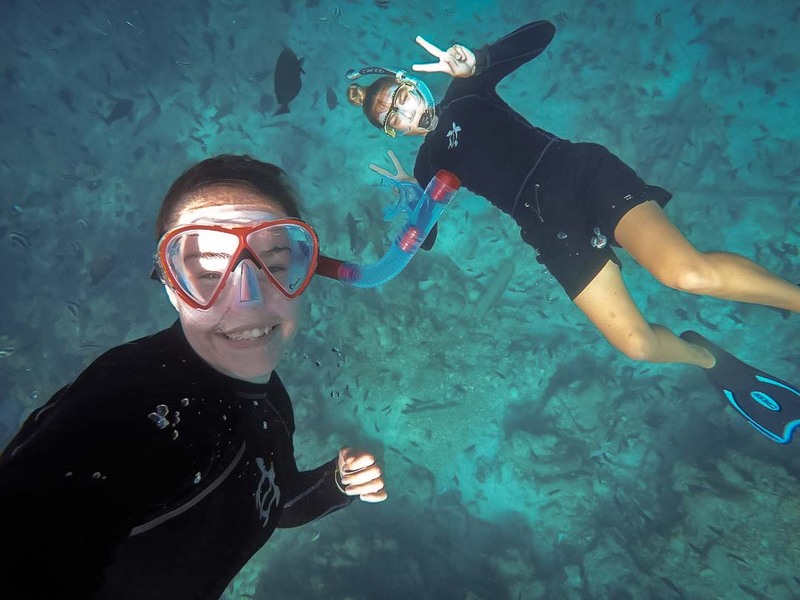 Emily also helps to release some Green Turtles from our ‘head start’ programme, and encounters the menace Crown Of Thorns starfish on the reef. 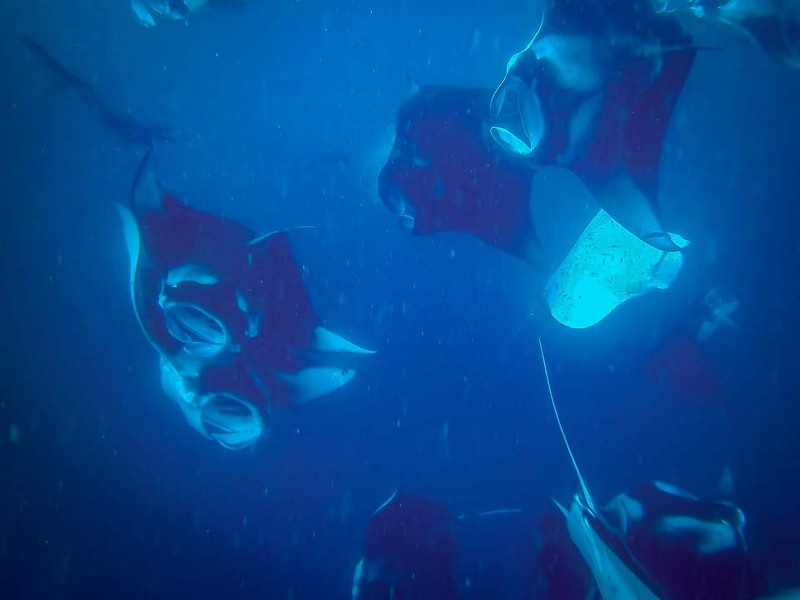 Enjoy the first chapter of Emily’s blog, as she starts her marine biology internship. 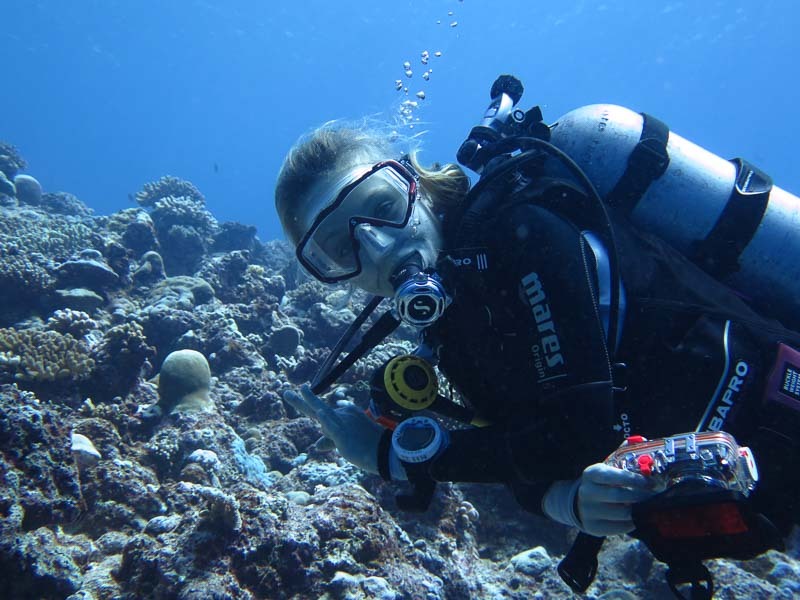 After a brief (magic) spell dressing up as ‘Snow White’, Emily pursues her interests in coral biology with our Reefscapers team. 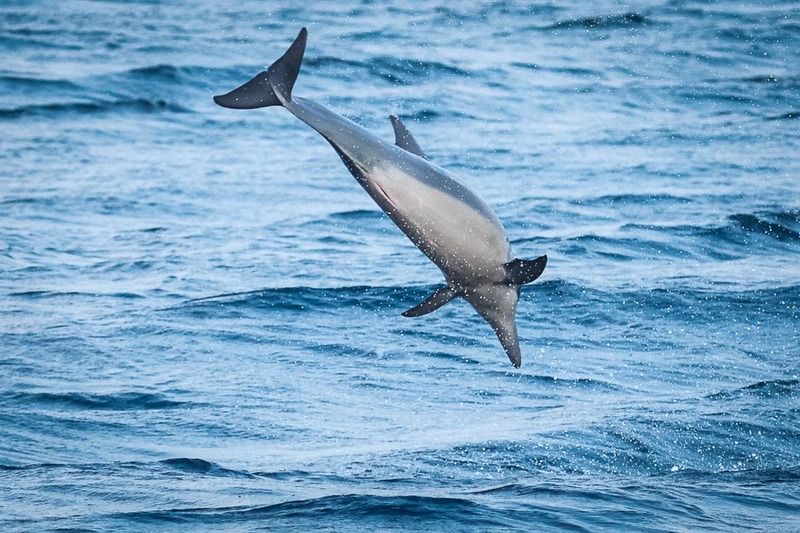 She also enjoys some time on our guest excursions, with some exciting encounters both above and below the waves. 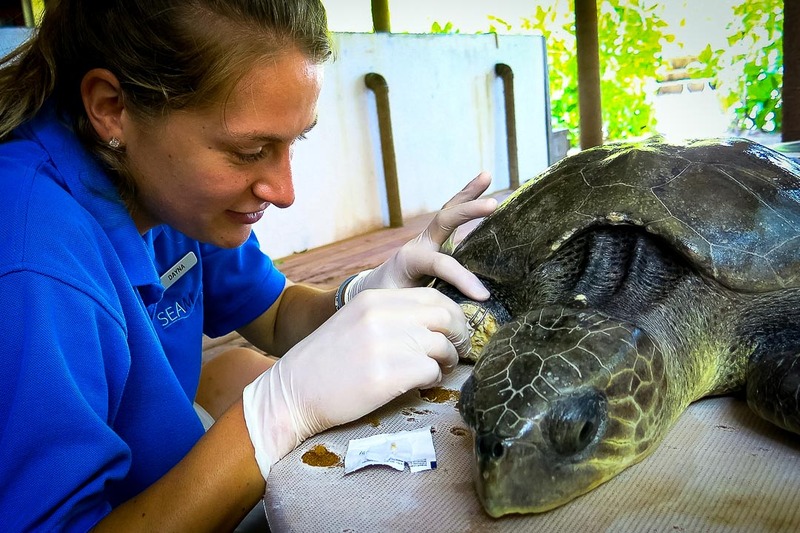 Follow Roz’s adventures on her internship here with us at Marine Savers. 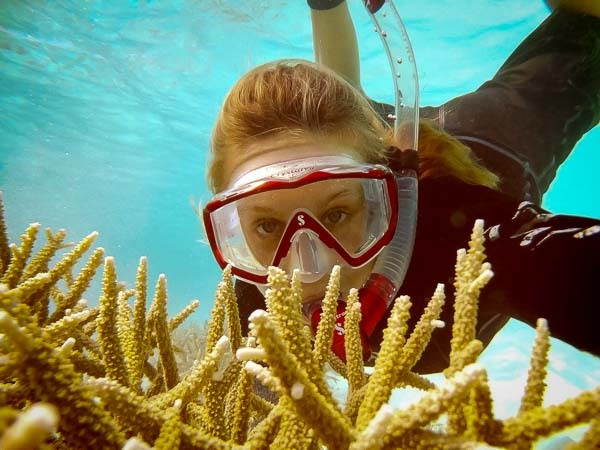 She gives marine biology presentations and helps with our guided snorkel safaris, to increase awareness of the fascinating wildlife here in Baa Atoll’s UNESCO Biosphere Reserve. 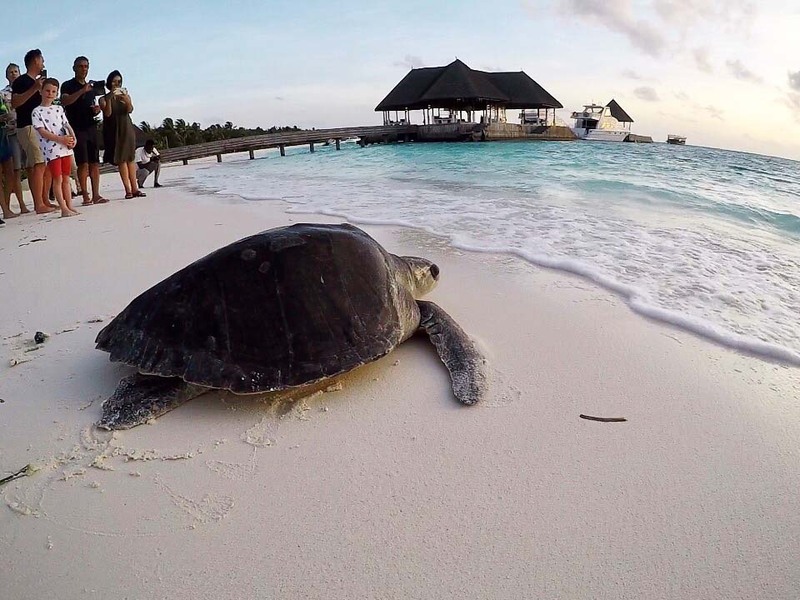 Join Lauren as she settles in to our marine biology Volunteers Programme here in the Maldives, and see some fabulous photos taken during her 1 month placement with our team. 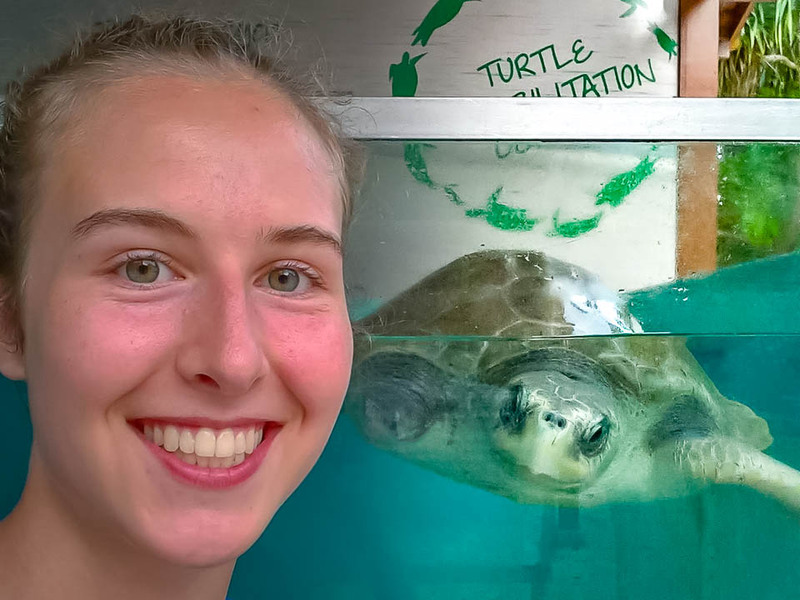 Say hello to our resident intern Sophie, who has come to work with us here at Marine Savers for 3 months. Sophie gets busy with our turtles, helping with both an attempted rescue and a release, and learns about our current residents. 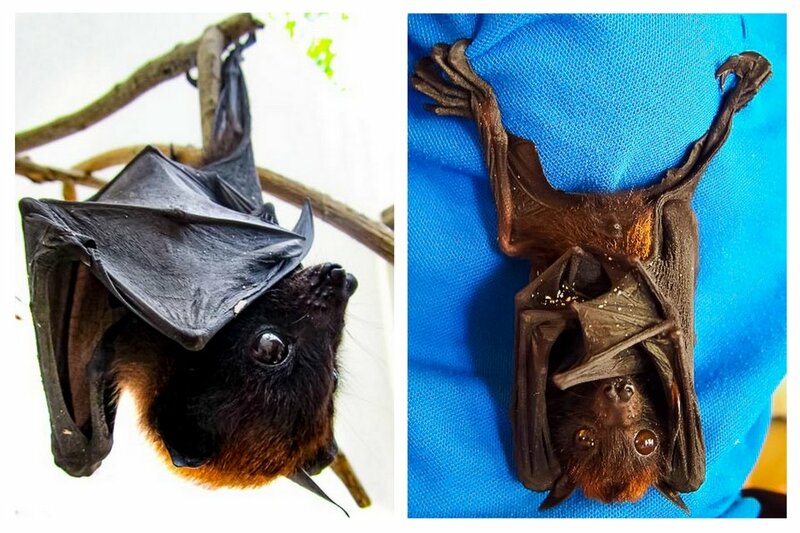 And unusually for our Marine Discovery Centre, we are also taking care of 2 furry residents … ! Meet Keith, the latest Volunteer to signup for our Programme. 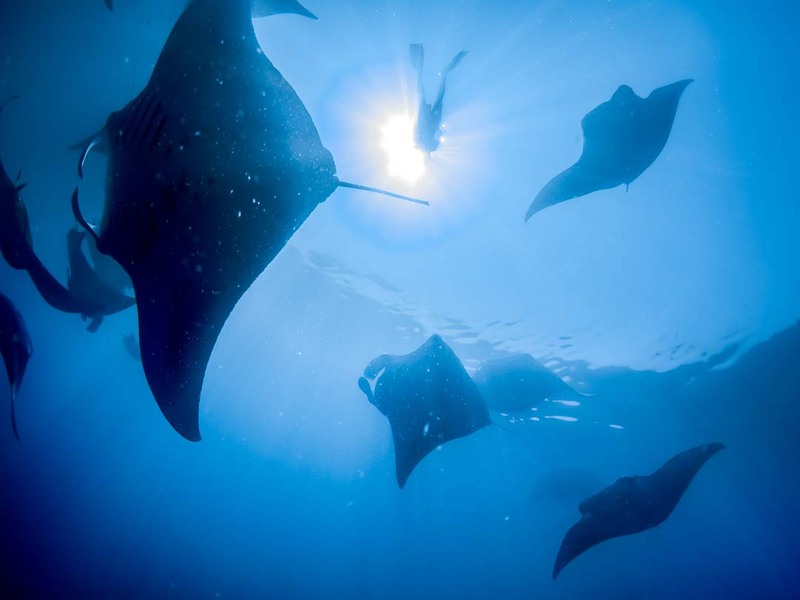 He took a break from his busy office job to experience life as a marine biologist here in the Maldives. 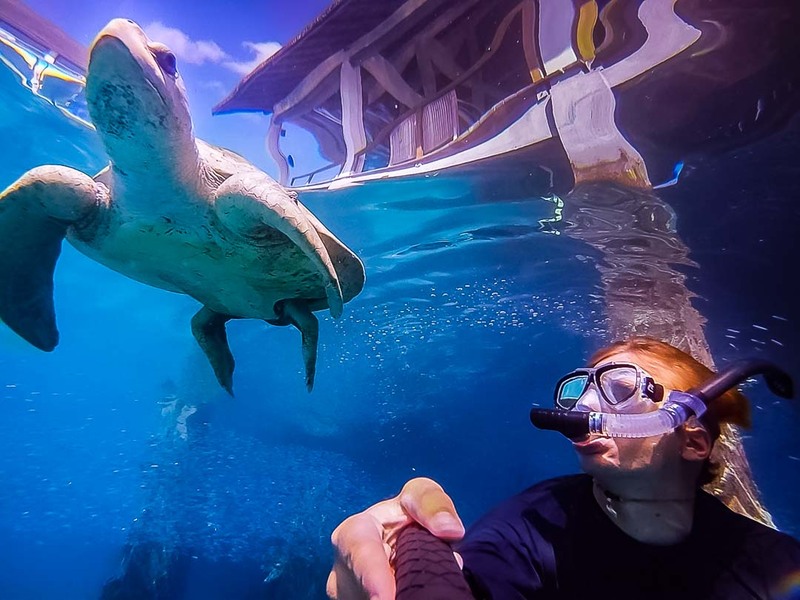 He is soon helping out with the turtle patients, and learning all about our Reefscapers coral propagation project. 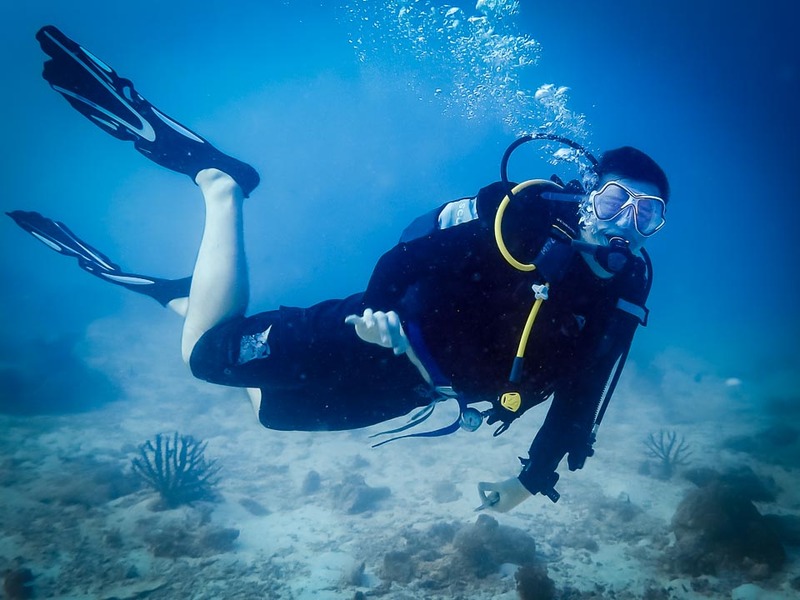 Keith even finds the time for some recreational diving and a spot of meditative yoga. 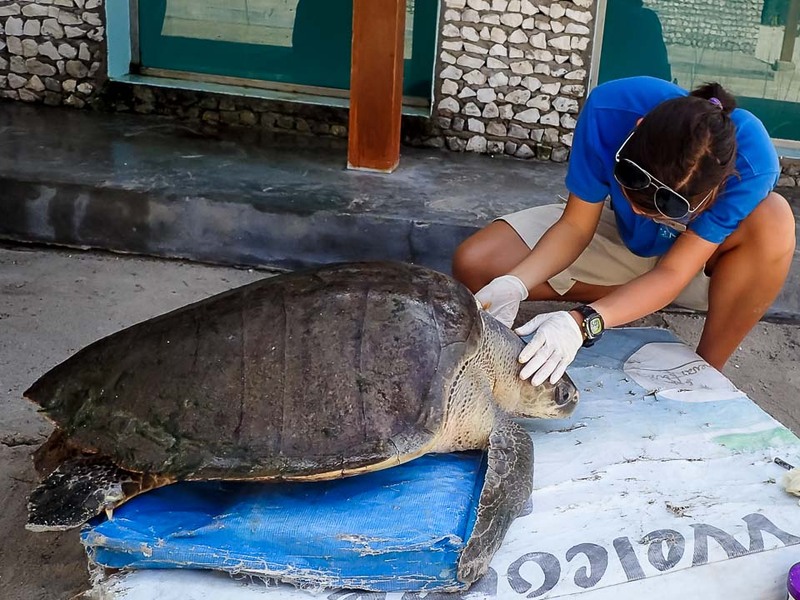 Join Dayna, our marine biology intern here at Kuda Huraa. 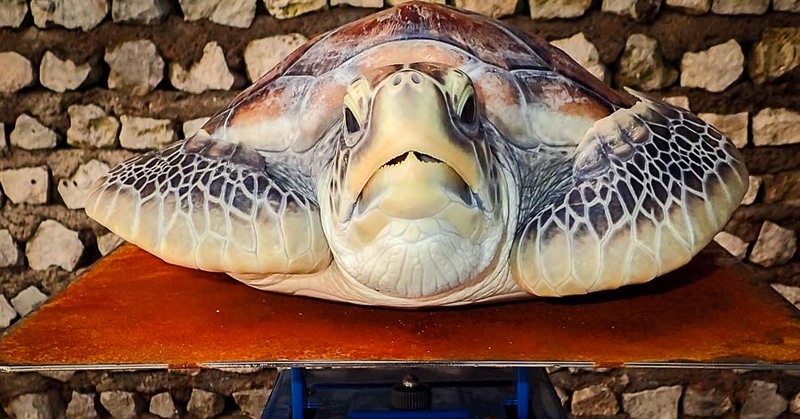 See how she uses her veterinarian skills and training to help save the lives of our sea turtles, injured from entanglement in drifting ghost fishing nets. 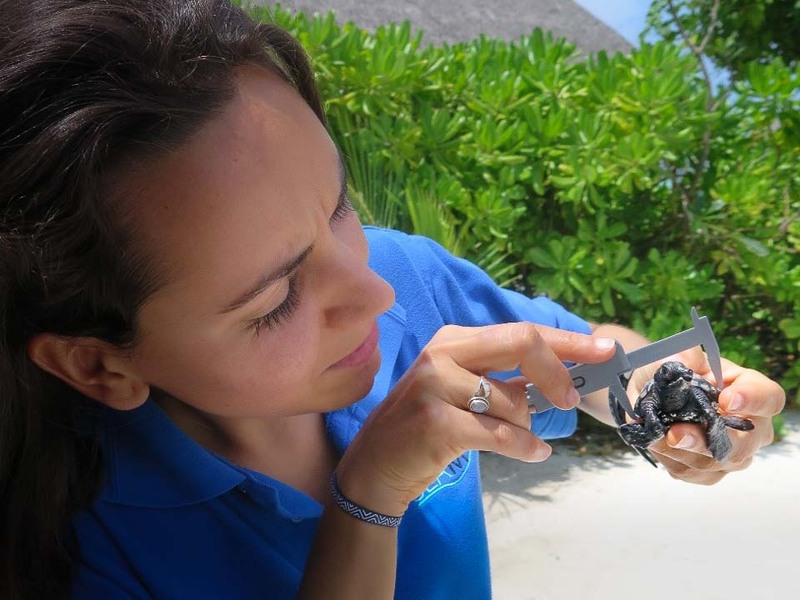 Learn about her research project with our turtle hatchlings, and go diving as Dayna explores the rich underwater marine life. Say hello to Mailis, our new intern at Landaa Giraavaru. 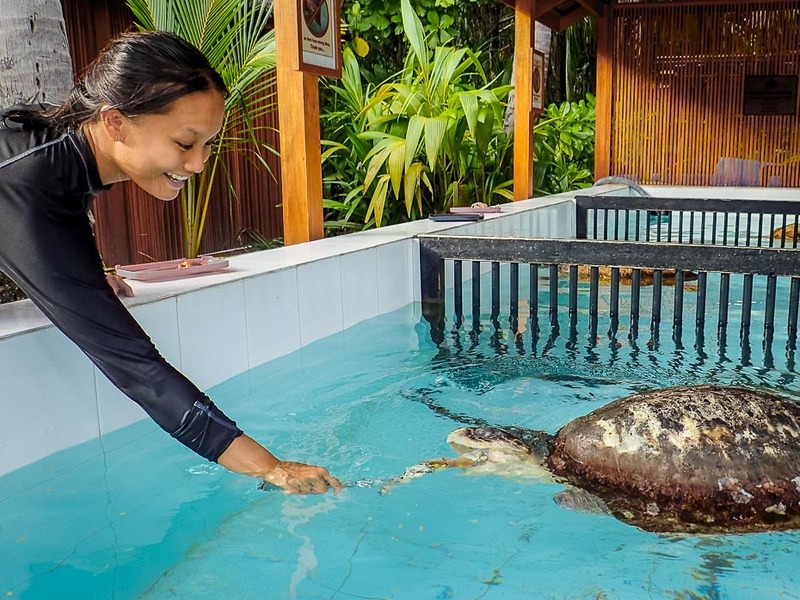 She is studying turtle conservation in the Maldives, so our rehabilitation centre provides the perfect educational home for a few months, caring for our rescue patients. Hello! 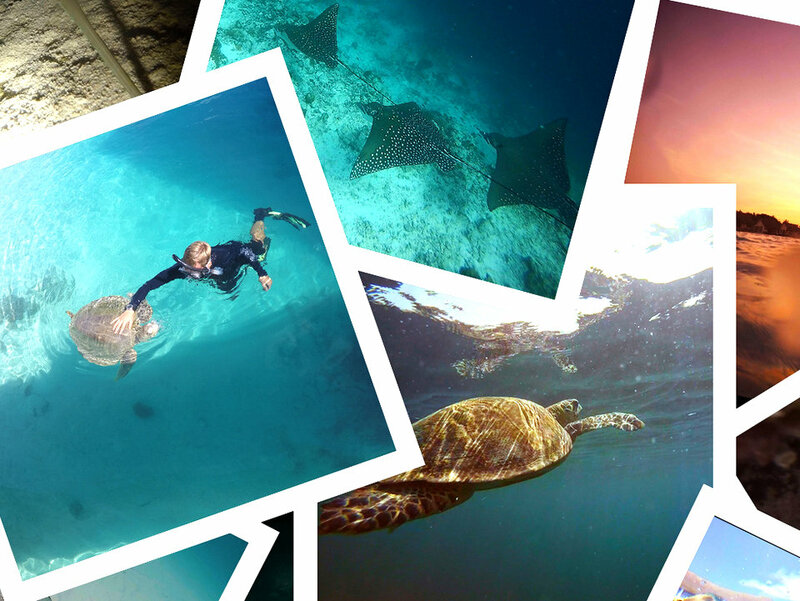 My name is Cath, and I am the new intern working here at Kuda Huraa until the end of June. 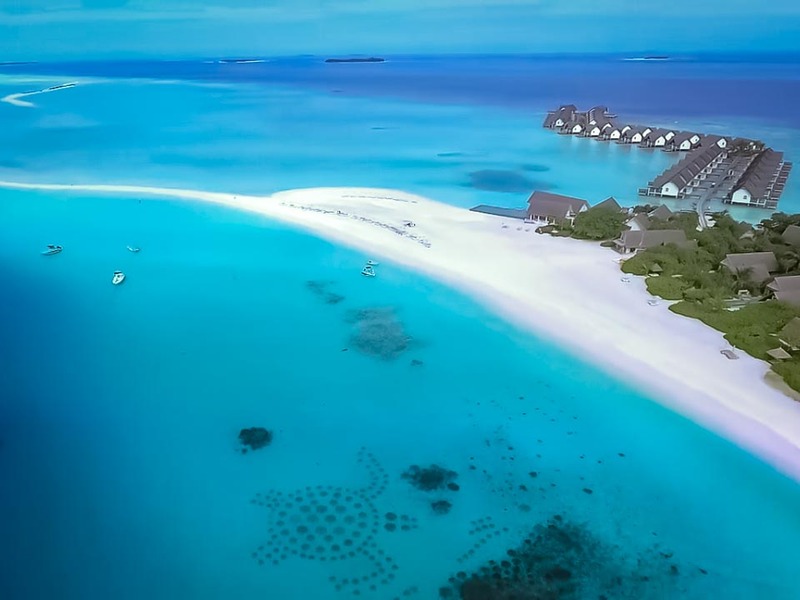 I recently completed my undergraduate degree, studying Marine Biology at Portsmouth University, and was delighted to be offered the opportunity to work here in this Maldivian paradise for 3 months! We were lucky to observe our second coral spawning event of the year, and we investigate marine biodiversity. 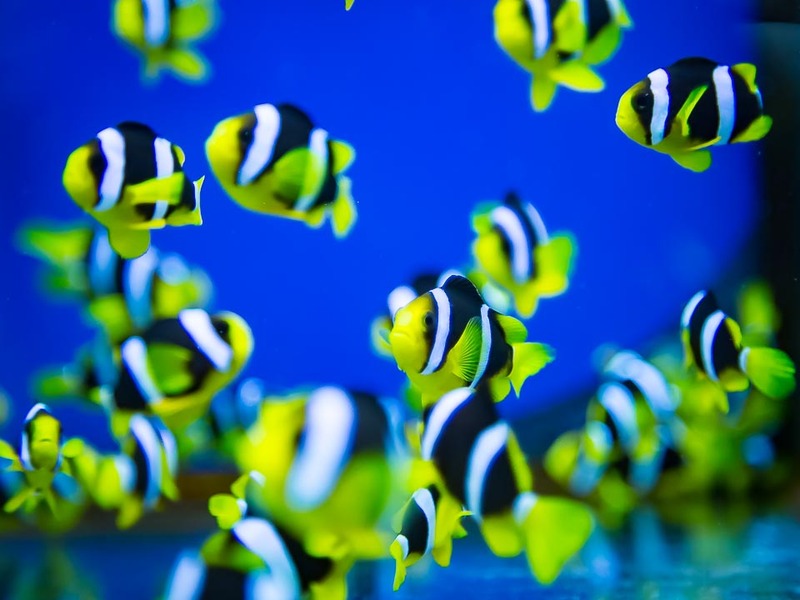 Join us as we take a detailed look at the sea creatures that have taken up home in our coral frames … prepare to be amazed at the number and diversity of species that we found !